If we wish to strengthen our TRUST, we must choose to exercise our FAITH. How do we do that? 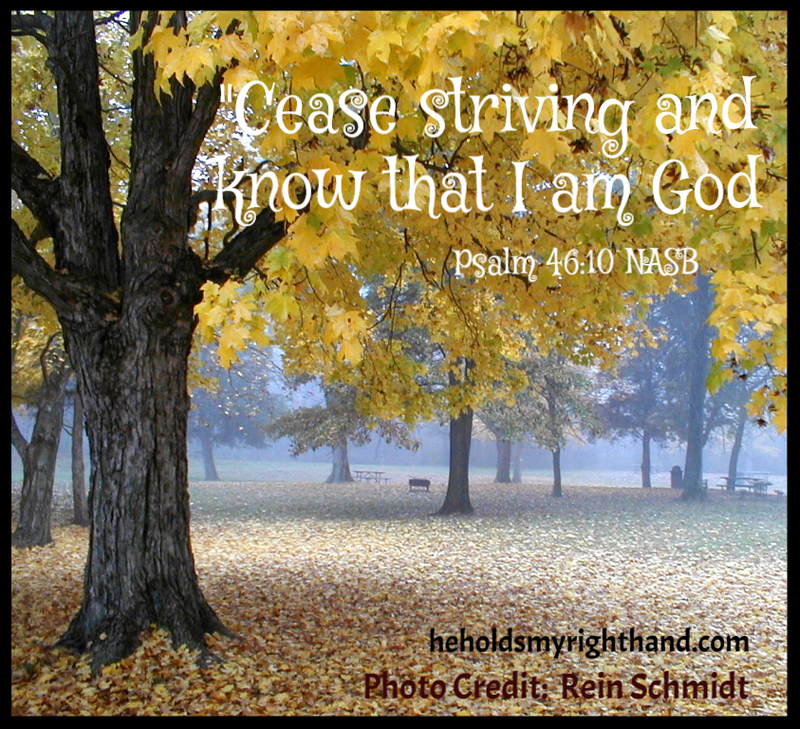 We cease striving. In other words, BE STILL! Exodus 14:14 - "The Lord will fight for you; you need only to be still." Stop fighting and struggling to win a war YOU cannot win! Be at rest as you pray and acknowledge that God is in control of your circumstances. BELIEVE He will not fail you. Have FAITH in Him. Believing God is real, and good, and is always watching over us, even when we can't physically see Him. Choosing to "see" God through the actions of other Believers, and in the beauty surrounding us. Believing God's Word is true, and that He will always keep His promises. Trusting that ALL things will work out for the good of those who love Him. Having hope that better things are on the way. 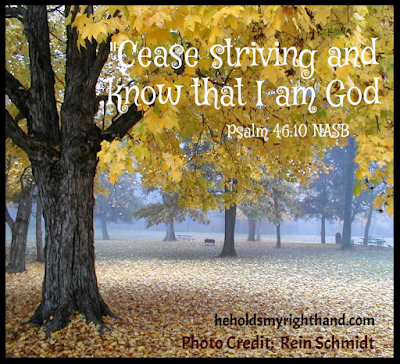 Cease striving (be still) and know that HE IS GOD. TRUST #37: Selah "Lord I Trust You"